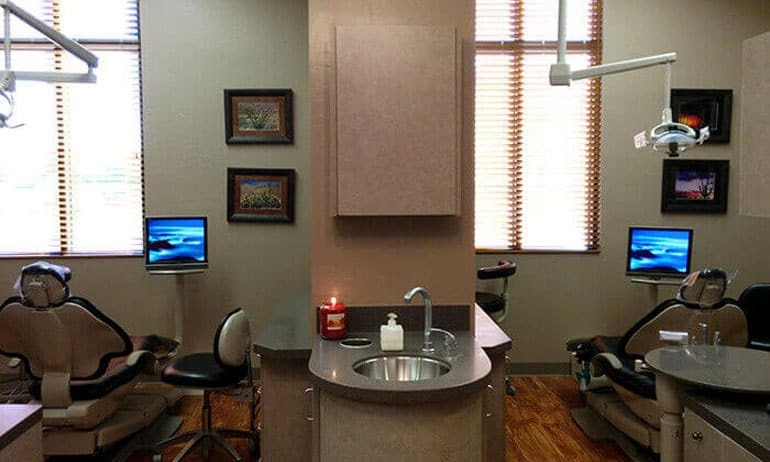 The dental field is constantly changing and evolving to include more sophisticated methods for treatment, and Dr. Hanna Mansoor does her best to stay at the forefront of it all. Here in Gilbert, AZ, our team is proud to offer several state-of-the-art tools that can make your visit simpler, safer, and more comfortable. Better yet, we specialize in no-shot laser dentistry and many other advanced services! Contact Smiles by Hanna today if you have any questions for us, or if you’re ready to schedule your first appointment. We look forward to meeting you soon. DIAGNOdent is an electronic device that helps greatly with detecting decay at the earliest stages possible. Dr. Hanna strongly believes in practicing conservative care. By diagnosing early cases and even areas that might be more prone to decay than others, we can ensure that you teeth experience less damage and that the maximum amount of your natural tooth structure is preserved. Better yet, studies show that DIAGNOdent can even be more accurate than X-rays – no radiation required. Oral cancer is a very dangerous condition, with tens of thousands of American adults expected to be diagnosed this year. In fact, on average, one person dies from the disease every hour. At Smiles by Hanna, we hope to do what we can to reduce that number with our state-of-the-art VELscope technology. VELscope allows us to detect oral abnormalities and other signs that indicate the presence of oral cancer very early on, greatly increasing your chances of recovery. Here in Gilbert, our dental team is happy to offer you and your family Elevate with Xylitol products! These quality kits and tools are created with safe and natural ingredients that will bolster your oral health and even improve your overall wellbeing. Studies have shown that their routine use can reduce your oral bacteria and plaque, strengthen gum tissue, and even improve the condition of gums that are receding from the teeth. With our intraoral camera, we can help patients be a much more informed partner in their oral healthcare! The process is simple – our team will insert a small, camera-tipped wand into your mouth and take photographs that are transferred to a big, easily viewable TV screen. Dr. Hanna will be able to point out specific areas that may need more diligent hygiene, clearly identify damage, and explain her recommendations for your treatment in a mutually understanding fashion. Waterlase is a truly revolutionary tool when it comes to reducing the pain and discomfort patients experience during certain dental and periodontal procedures. This laser technology relies on light and water to treat infection in a precise and exceptionally comfortable fashion; in fact, most patients don’t even need any anesthesia due to its overall gentleness. This also makes it easier for Dr. Hanna and the rest of our team to perform multiple procedures in a single appointment. Call today or fill out the form and mention our 3D CBCT Scan for $199 Special! 3D CBCT Scan is a digital, high definition x-ray of your teeth. At Smiles by Hanna, we always want our care to be as precise and comprehensive as possible, and this can’t be accomplished without the help of X-rays. After all, there are structures throughout your mouth that simply can’t be viewed with the naked eye. Thankfully, digital technology has simplified this process significantly, eliminating the need for long wait times and hazardous chemicals, instead creating a comfortable, even educational experience for patients. If you’re interested in scheduling your first appointment, please contact Dr. Hanna Mansoor here in Gilbert, AZ today! The process is incredibly fast and comfortable – our team members will place the sensor in your mouth to capture images that will be instantly transferred to our computer system. These photos don’t need to be developed or exposed to chemicals or waited on for a frustrating amount of time; they’re ready within a matter of seconds. The digital images we capture at our Gilbert office can be rotated, magnified, color-coded, and altered in other ways with just a click of button. This allows us to explain problem areas and potential treatment options in a much clearer fashion so that you’re a fully informed partner when it comes to your care. The images can be reproduced indefinitely and transferred to other doctors or insurance companies if needed with no trouble. When undergoing traditional X-rays, patients were exposed to a significant dose of radiation. Thankfully, digital X-rays reduce this amount by up to 90%. Smiles By Hanna recently invested in a state of the art CT scanner that will allow Dr. Hanna to evaluate even the most complex dental cases. 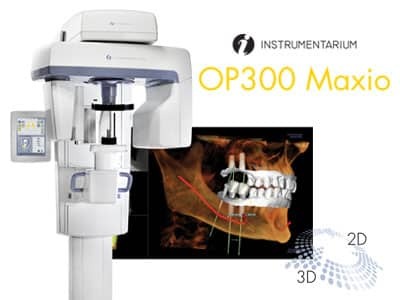 With 3D imaging, our scanner takes images of a patients entire mouth through high-end anatomical 3D imaging innovation, redefining dental imaging in the finest detail from any desired angle. It also takes panoramic imaging needed for dental implant or wisdom tooth cases. 3D CBCT Scan is an awesome way to view the intricate details of things happening inside your mouth. Take advantage of our current special and schedule an appointment to come see us today! Call our office at (480) 279-3700.